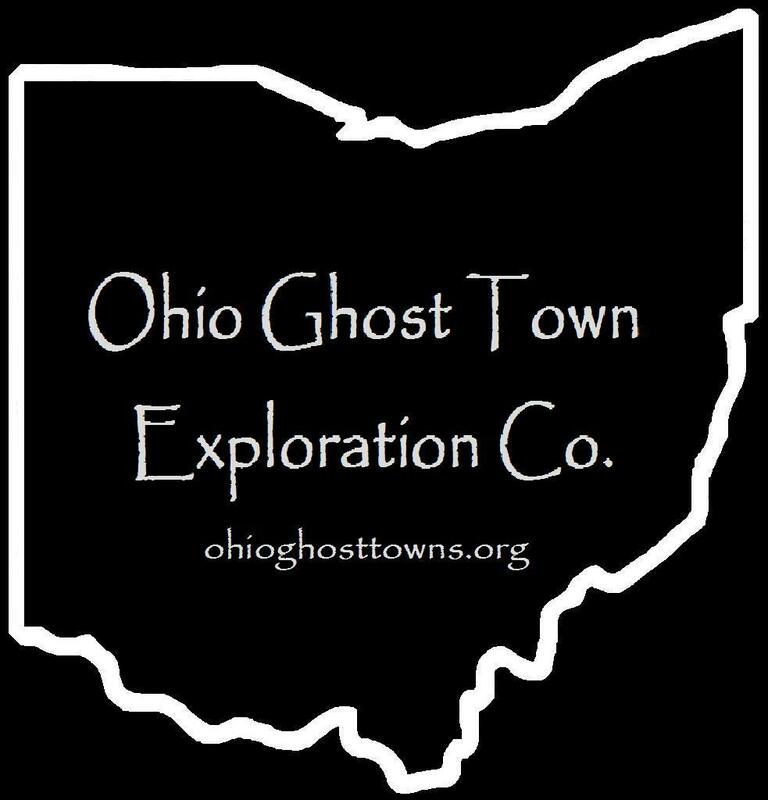 Morrow County – Ohio Ghost Town Exploration Co. Description: It was platted in 1824 by Aaron Macomber who had a wood bowl making business with a turning machine run by horses. The town also had a wool hat shop owned by Hugh Hartshorn. The residential lots in Aaronsburg never sold & it was quickly abandoned. Description: Barcelona was a small farming & postal town. William Wallace was the postmaster & the office moved to Bloom Grove when it was platted. Description: The town was founded in the early 1820s by Reverend George Van Eman (1786 – 1870) from Pennsylvania, Plumb Sutleff, & Samuel Hardenbrook. Some of the residential lots sold but the town never flourished & reverted back to farmland in the mid 1800s. George later moved out of the county & was buried with relatives in Maple Grove Cemetery in Findlay, Hancock County. Description: Friendsboro was founded in 1822 by Asa Mosher (1771 – 1843) & Bethiah Mosher (1771 – 1856) who were Quakers. They moved to Ohio from Bristol County, MA & had 11 children. The land was surveyed by War Of 1812 veteran Colonel James Kilbourn who founded Worthington, OH & a few smaller towns. Friendsboro had a cabinet shop built by John Shaw on Whetstone Creek, but the water power was insufficient for its needs & the town never grew any. Asa & Bethiah were buried with relatives in Union Cemetery. Description: It was founded by a branch of the Gray family in the county. Description: This small farming & postal town had a saw mill & school. Description: The town was platted in 1824 by James Bailey who built a general store near the GPS coordinates. Appleton Rich owned a blacksmith shop. Bailey’s store was bought by Allen Kelly (1785 – 1871) from Pennsylvania & Miriam (Dicus) Kelly (1792 – 1849) from Delaware. Allen also opened a tannery & was the postmaster. The town faded out of existence after the Kellys sold the store. They were buried with relatives in Bryn Zion Cemetery about 2 miles north of town on Bryn Zion Rd in Gilead Township. Description: The proprietors were Rudolph Kelker (1841 – 1908) & Ida (Cook) Kelker (1836 – 1909) who had a few children, nice farm, & were prominent members of the community. Rudolph was the postmaster & the church, school, & cemetery all pre-date the establishment of the town. The Kelkers were buried with relatives including Rudolph’s parents in Pleasant Grove Cemetery. Description: Morehouse was founded in the early 1830s by Stephen Morehouse (1771 – 1855) & Elizabeth (Steinbeck) Morehouse (1775 – 1868). They had 11 children & moved to Ohio from New Jersey. Some of their children came to Ohio too & some stayed behind. The town had a few saw mills over the years, two tanneries, & a school. Stephen & Elizabeth were buried with relatives in Morehouse Cemetery. Description: The proprietors were Asa Mosher (1771 – 1843) & Bethiah Mosher (1771 – 1856) who were moved to Ohio from Bristol County, MA & had 11 children. Asa was a township trustee & constructed a grist & saw mill on Whetstone Creek that was completed in 1821. Asa & Bethiah were buried with relatives in Union Cemetery. Description: This crossroads town had a general store, school, & the church that was constructed in the mid 1870s. Description: The town had a church & school & was founded by War Of 1812 veteran William Queen (1789 – 1851) & Elizabeth Queen (1795 – 1879). They were buried with relatives in Glendale Cemetery on Glendale St in Cardington. Description: It was platted in 1827 by Lemuel Potter (1778 – 1860) & Anna (Terry) Potter (1785 – 1849) but never grew any. Lemuel & Anna were buried with relatives in Bloomfield Cemetery on Rich Hill Bloomfield Rd. Description: It was a small farming & postal town. Allen Kelly (1785 – 1871) was the last postmaster. He was buried with relatives in Bryn Zion Cemetery on Bryn Zion Rd in Gilead Township. Description: The town was founded by William Stiner (1772 – 1837) & Marian Stiner (1792 – 1874). It had two saw mills (one steam powered), a Methodist church, & a school in the 1850s. William & Marian were buried with relatives in Asbury Cemetery. The Bucks were also a large family in the area. Description: This farming & postal town had a school & was on the Big Four Railroad (Cleveland, Cincinnati, Chicago, & St. Louis). The town was first settled in the 1850s as a small farming community. It had population boom in the early 1860s when a steam powered saw mill was constructed nearby, so they started to call the area Steam Corners. A post office moved into town in 1864 but was later discontinued. A new post office was built that ran from 1865 – 1901. The first store in town also opened in 1865. In the late 1800s to early 1900s, Steam Corners had a school, church, general store, tavern, wagon shop, & a blacksmith. There isn’t much left in town besides a Methodist church that sits next to the last school the town had, the remains of the last store near the center of town, & maybe 15 – 20 homes. Its biggest attraction these days is the Mid-Ohio Sports Car Course about a mile east of Steam Corners on Steam Corners – Lexington Rd.